Google is doubling down on its commitment to the business analytics market with the launch of a new free data visualization tool. 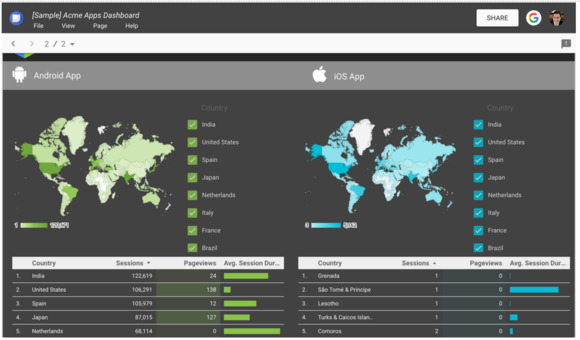 The company has launched Data Studio, a free version of the data visualization tool it introduced as part of an analytics suite it unveiled earlier this year. 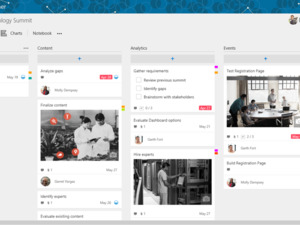 It includes a wide variety of data connectors to let customers visualize data from Google AdWords, Google Sheets, and other Google products. It also integrates with BigQuery, and the company plans to launch a connector for SQL databases later this year. 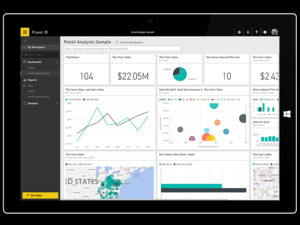 The product competes against Microsoft's Power BI data visualization suite, which has been one of that company's most-hyped products under the guidance of CEO Satya Nadella. As companies collect more and more data, tech firms want to provide them with a way to better understand it. Data Studio lets businesses take in information from a variety of sources and then compose it into reports that they can then share internally or externally to give viewers a better understanding of potentially complex raw data. Those reports can include graphs, charts, and heat maps, similar to other products. Businesses that want more premium features still have to purchase a subscription to Google's Data Studio 360 service, but this free tier will give companies a way to get a taste for the functionality that's available to them. The biggest difference between the two products is the number of reports users can create -- free customers are limited to only five while Data Studio 360 users will get an unlimited number. Data Studio 360 is only one part of the company's premium analytics offering, which also includes tools for A/B testing and audience targeting.